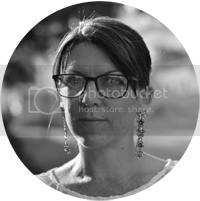 I'm really excited to introduce you to my friend, Susannah Parker. She's a fabulous gal who used to live in the Algarve and had a cute little bookshop. She's since moved on though and has now released her first novel, Ghosts of Paris! I've read it and thoroughly enjoyed it. So come and meet her! Hi Susannah! Please tell us a little about your latest book. 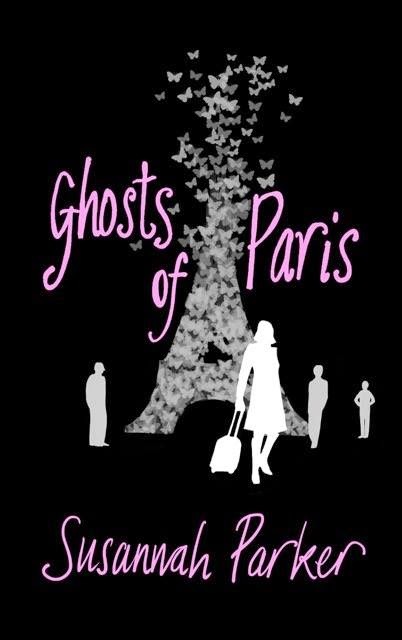 Ghosts of Paris is the story of Sofia, a woman who put her dreams aside to stay near her very insecure mother. One day she receives a letter that changes everything and shortly after she packs her bags and heads to Paris, the city that had always haunted her family. In Paris, she gets glimpses of what her life could have been like if others had made different choices for her. But, is what she finds real? At the same time Sofia finds herself in the middle of a family feud when the Lambert cousins take an interest in her. It’s essentially a story about life choices and about the fork in the road we all encounter at different points in our lives. Later that day a friend rang me. I hadn’t told her I’d gone to Paris because she’s never even been out of the country (we don’t live in the same town) and always wanted to. I remember feeling guilty for confessing I was out on a long weekend. I have friends with many ties, and I’ve had my own. I haven’t decided yet but there is room for that to happen. I’ll let the readers decide. If Ghosts of Paris was made into a movie, who would you like to play the main characters? Sofia would be Keira Knightley, Jon Lambert (I have to apologise the lack of originality as far as names are concerned but I see him as Jon Bon Jovi, who has done a little bit of acting too) and Matt Lambert I see as Jude Law. I think I always wanted to be an author but I never got past the first chapter of any book I attempted to write and this one was destined to have the same fate. Then our dog fell ill shortly after my husband and I returned from that trip to Paris and his prognosis was very grim – his heart could quit at any time and he’d have six months to live, at best. I started to write to keep me sane. He was our baby and I didn’t want to leave his side. In the end he got to live well over a year of what was expected and I used that time to write a lot and bake – two things that bring me great joy. That is not so easy. But I remember in my days as a bookseller I really loved Cecelia Ahern’s book cover for “The Gift” (hardcover). It had a red bow on it. The cover was fairly simple, with a light grey background and silver snowflakes. It made me want to read it really badly and I had never read her novels before. Again, there are many – do I really just have to pick one? OK. I’ll go with my latest wow book. That would be The Unlikely Pilgrimage of Harrold Fry by Rachel Joyce. I think it had this effect on me because, like Ghosts of Paris, tragedy propels the main character to do something very unlikely to make amends with the past. Nature, historical towns, people’s life stories, music, silence. According to my bookshelves it seems that Barbara Erskine and Philippa Gregory win, but that could be because they have more titles released than other authors who wrote books that I love. I really have a very eclectic taste in books, although I confess to have a tendency towards historical fiction with a hint of paranormal or magic. I have to invite J.K. Rowling. I love her success story. She should write her own memoir. I always disliked talking on the phone and I work in a call centre. It has a cathedral with almost one thousand years, where one of the (real) characters of one of my favourite books is buried – Katherine Swynford.